To ring in the festive season, The Carvery at Park Hotel Alexandra rolls out a series of stellar eats as part of their Festive Forest Feast themed menu where diners can partake in yuletide feasting for the entire month of December, available from 5 December 2018 to 1 January 2019. The indulgent meat buffet offers a scrumptious spread of seasonal goodies with quality roasts flavoured with aromatic herbs and spices, including the 'diamond of the earth' itself, black truffle, as well as other earthy bites come by way of a harvest bounty of root vegetables, fresh greens and fruits. 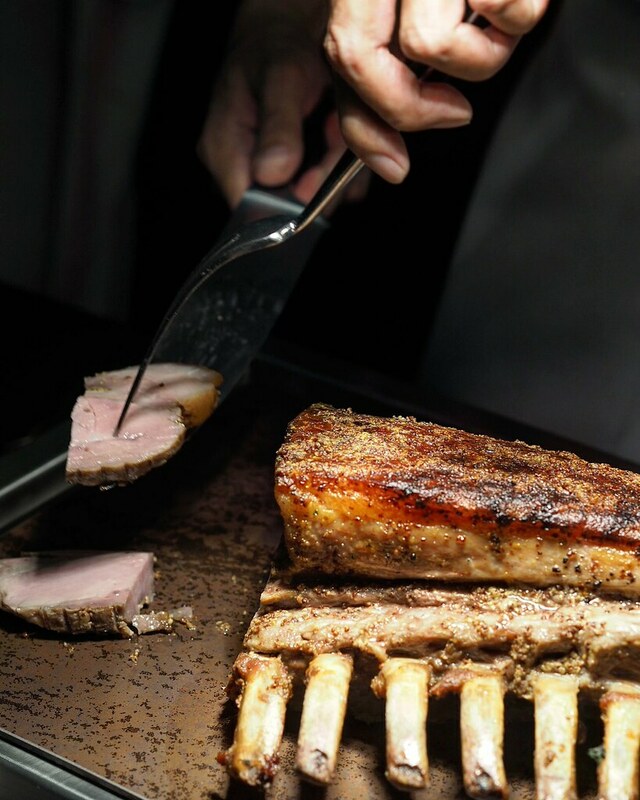 Known for its marbling and tender texture due to the special cereal-based diet feed and stress-free environment the Dingley Dell pig is reared in, the pork rack is brined with Chef's Ian secret recipe brining mix for 12 hours to tenderise the meat and enhance its flavours. It goes well with the house made pineapple sauce which provides a tangy flvour to the dish. Considered as one of the most flavoursome cuts of beef, its Whiskey-Aged US Angus Beef Prime Ribs flaunts a fine-grained texture and generous marbling. 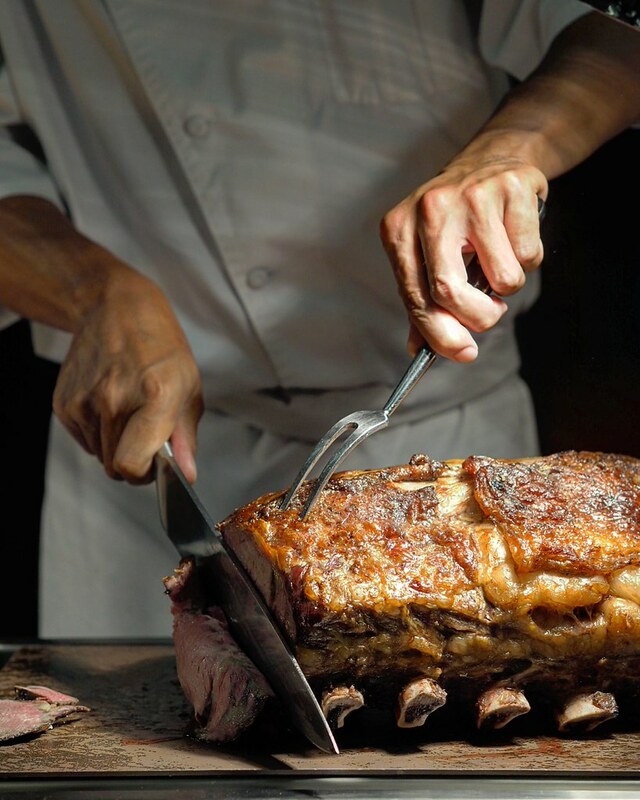 The meat is dry-aged in house for 14 days by being wrapped in a cloth soaked in bourbon, before being slow roasted to a perfect medium rare doneness, boasting tenderness and succulence in each bite. 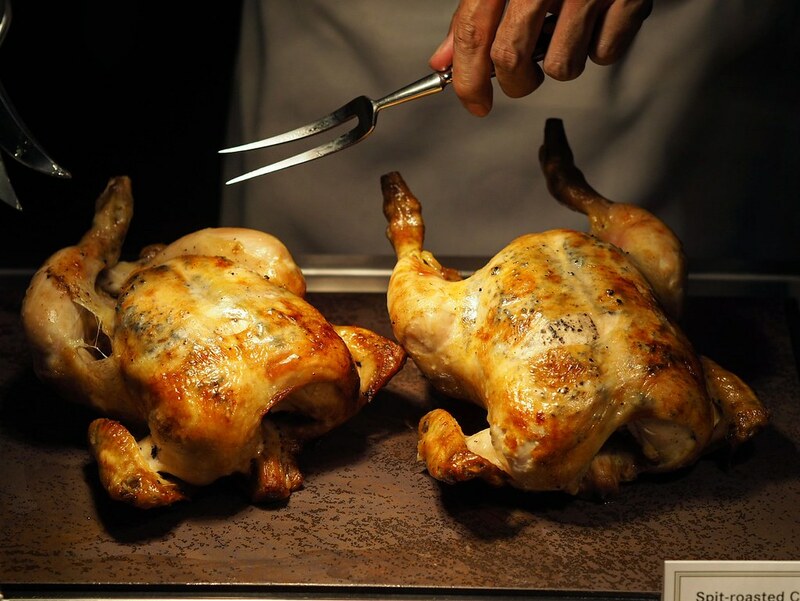 Pre-soaked for up to 24 hours in a special brine full of fresh herbs and vegetables, the Spit-roasted Chicken with Truffle is further slathered with house-made truffle butter inside and out which imparts a distinct truffle aroma and retains the succulence of the meat at the same time. 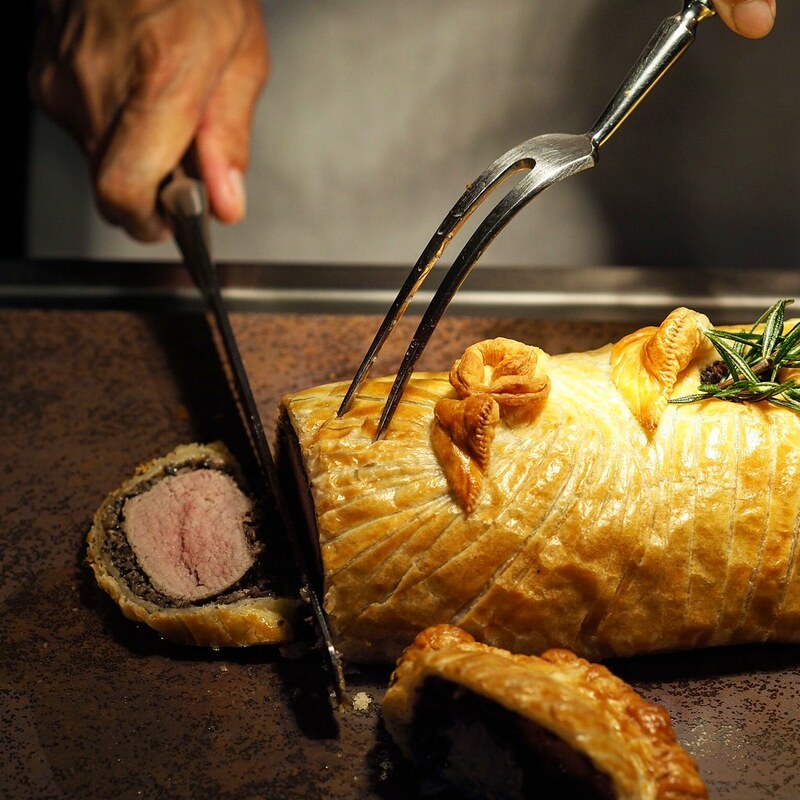 The Beef Wellington features a hunk of fillet steak coated with duxelles before being wrapped in a golden crusty puff pastry and baked. 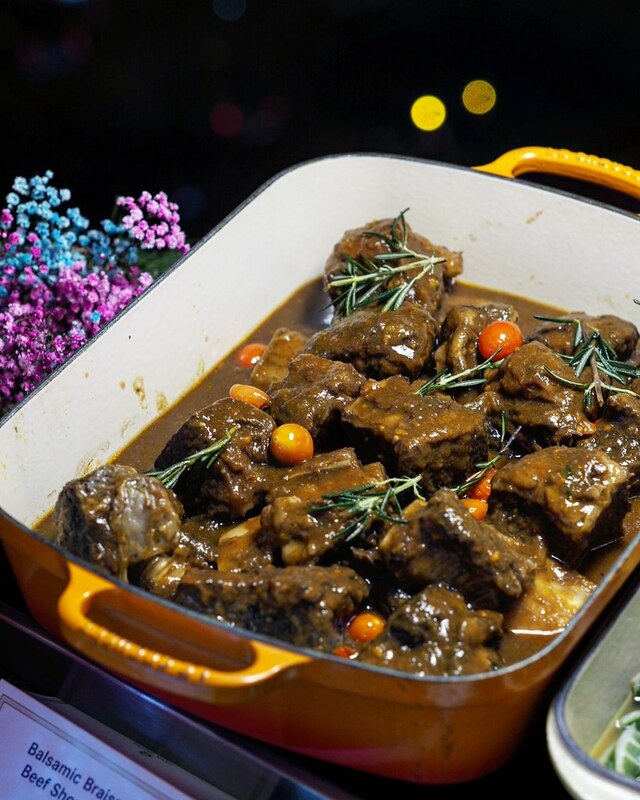 The hot food section features several other glorious dishes for the enjoyment of diners, which includes the Balsamic Braised Beef Short Ribs. Coated in a flavourful gravy, the beef short ribs boast a soft tender texture, which fell apart easily in the mouth. 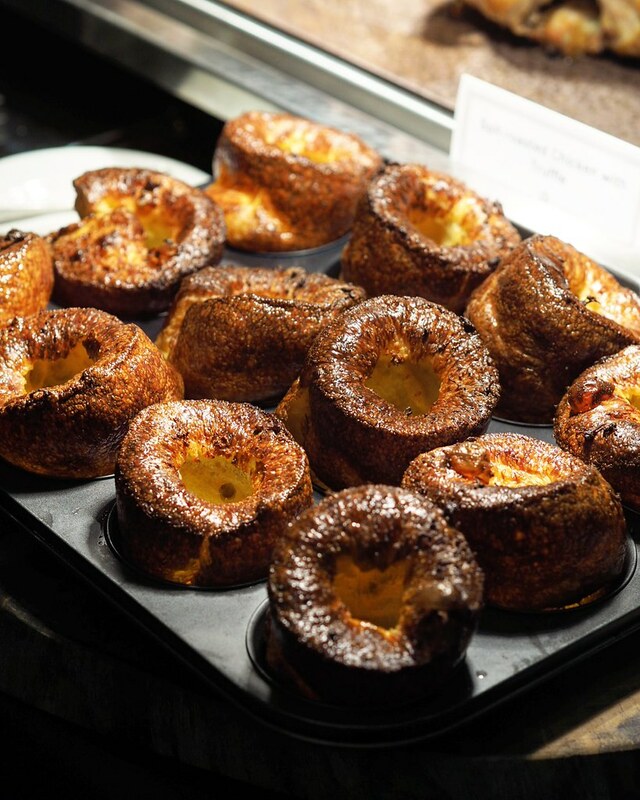 To soak up all the luscious drippings and gravy, the Yorkshire Pudding is a welcoming addition on the plate. 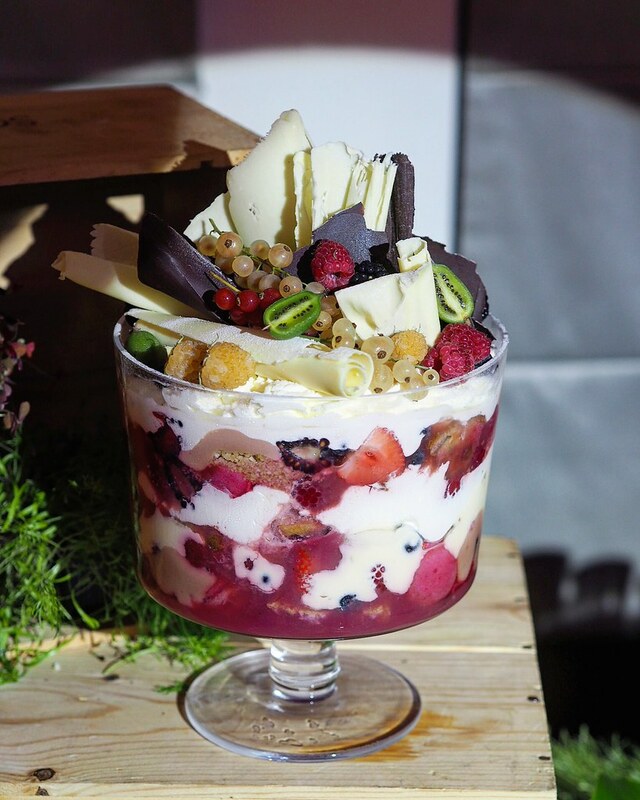 In line with the forest feast theme, the Raspberry & Lychee Trifle features glorious layers of lychee and rose custard, vanilla sponge soaked with fruity kirsch liquer, crunchy hazelnut crumble, raspberry macaroons, berry compote and a generous toppings of fresh cream and berries. The Forest Feast is available from 5 December 2018 to 1 January 2019. 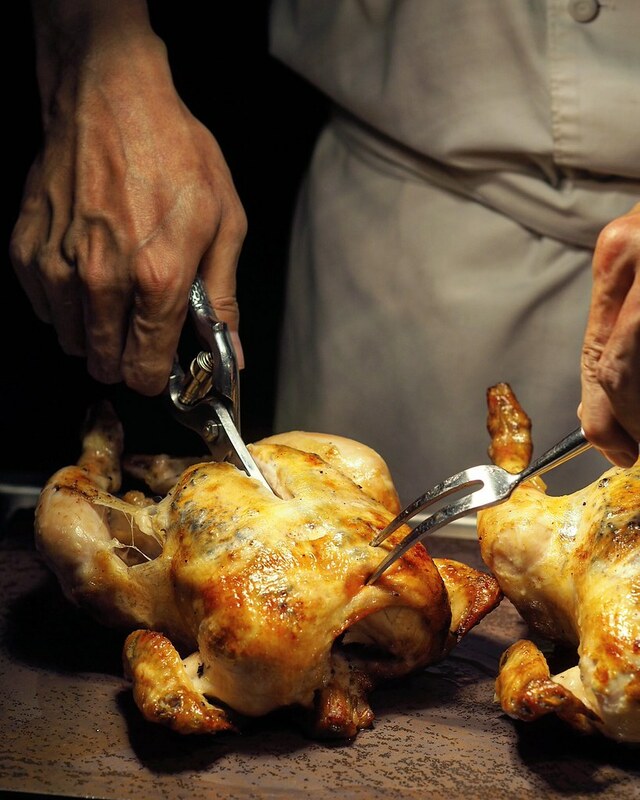 With a slew of exquisitely crafted festive delights to look forward to this Christmas season, some of the highlights on the Festive Carving Board includes the premium meats - Roasted Pork Knuckle, Whiskey-Aged US Angus Beef Prime Ribs, Spit-roasted Chicken with Truffle and Dingley Dell Pork Rack are available for weekend dinners only.